In this more digital era, people have begun to feel more confident in learning skills that may otherwise have seemed inaccessible. Many people feel like they are capable of learning how to properly remove trees and stumps from their property. However, removing trees in a safe manner can be an incredibly tricky process that requires trusted professional to provide insight and to handle the necessary safety requirements. At Your Way Tree Service we are a group of dedicated professionals who are fully insured and licensed that puts the vision of our customers first. Read on to learn more about how Your Way Tree Service can turn your property around with quality safe tree removal and stump grinding. Whether you own a commercial property or are trying to perfect your own backyard, your property should reflect the vision that you in store for it. At Your Way Tree Service, customer service is our main concentration and we provide our customers with safe tree removal that will not endanger your property in the slightest. 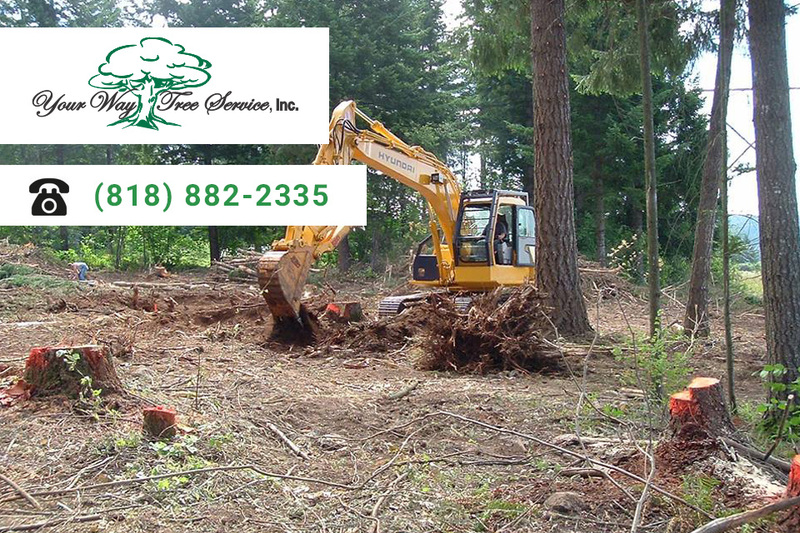 We are proud to have the experience and the equipment to handle all of your tree removal needs. Not to mention our company is fully insured and bonded so you can feel safe in our hands. Trust Your Way Tree Service to provide you with a high quality tree removal service with professionals who are dedicated to providing you with the property of your dreams. Nothing is worst than having an eye score in an otherwise beautiful piece of property. Stumps can be considered very unsightly and ruin the aesthetic flow of your property. Luckily at At Your Way Tree Service we provide our customers with top notch stump grinding services which will leave your property with a beautiful, smooth look that you can be proud of. Trust Your Way Tree Service we provide you with the ultimate tree services so that your property can look its absolute best. Trees are an incredible ecological accessory to any piece of property. Trust Your Way Tree Service to provide you with top of the line tree removal and stump grinding for your property that will be sure to make your neighbors jealous. Call 818-882-2335 for a free estimate today! It is never too late to invest in the beauty and well being of your property, start today!